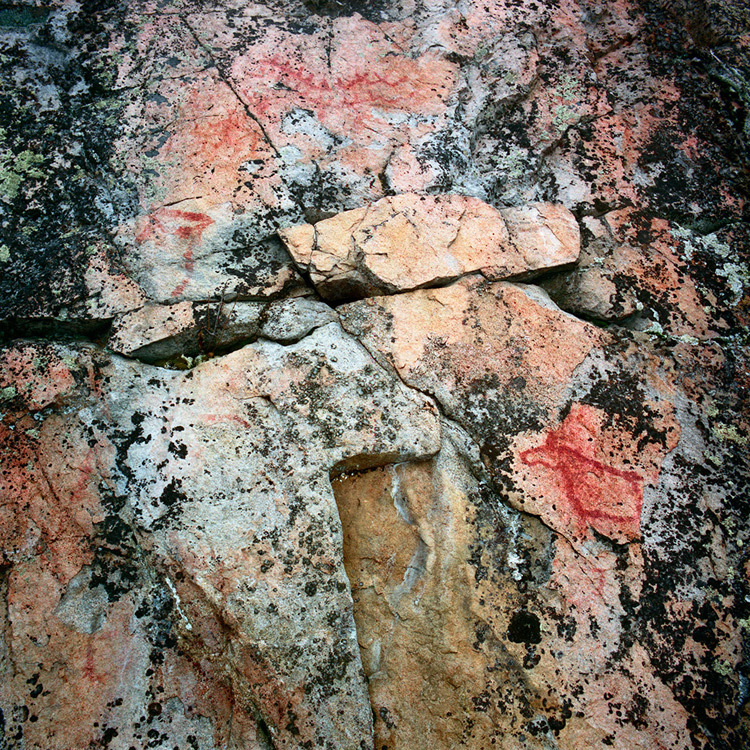 The rock paintings are fragile. 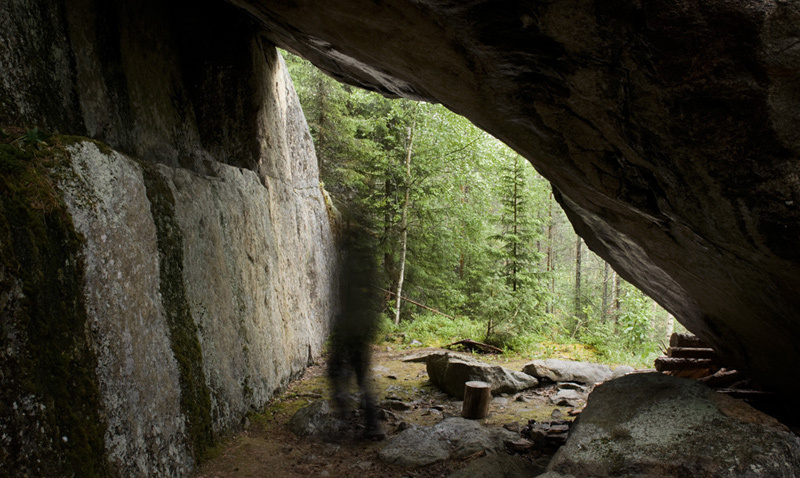 It is astonishing that they have survived over time in the open on cliffs and boulders. No doubt many paintings have been destroyed by the harsh climate and invading vegetation. Many of the paintings that remain are fragmentary and difficult to interpret. But still they carry meanings. In addition to searching for the original meanings of these prehistoric rock paintings, we can also ask another question: What is the meaning and relevance of prehistoric rock art to us today? 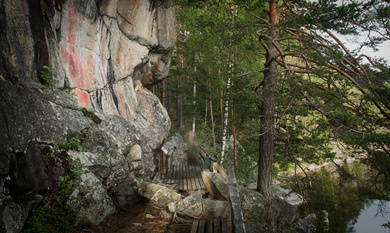 Even though we do not exactly know what the artists meant when they painted the images on the cliffs, we can still recognize something - something more than just the painted motifs. Even though we do not understand the language, we can recognize the will to create an image. 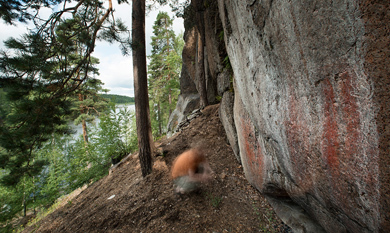 We can see the result of that will to create on the cliff. This is something, I believe, many can identify with. 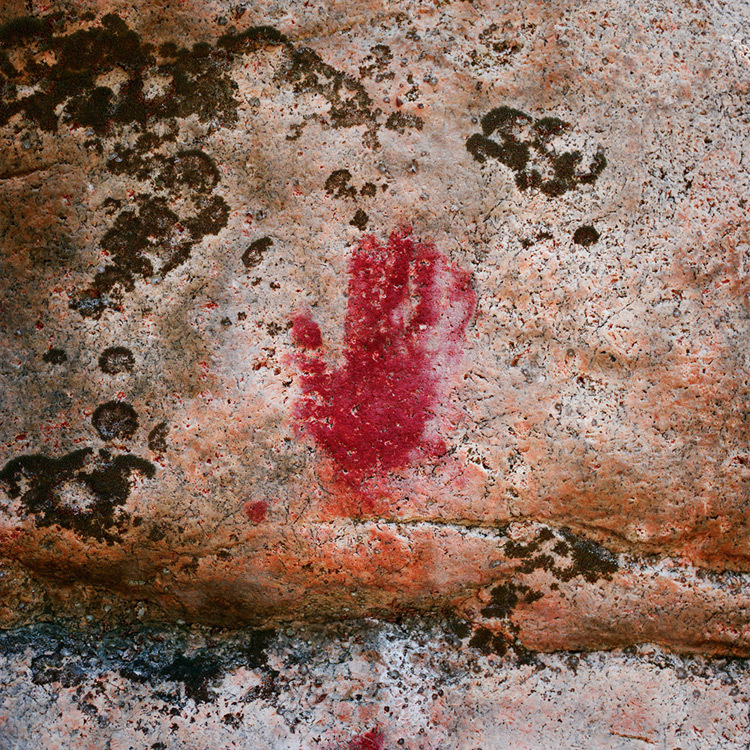 We still want to create and share images, leave a mark, tell about our thoughts, lives and beliefs, as did the people 7,000 years ago. The languages and tools are different, but the will is common. Can we see the continuation from the ritualistic act of painting rock walls to the act of sharing images on the walls of social media? 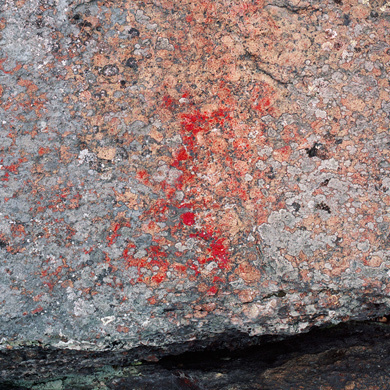 The concept of time has great significance when thinking about today's meaning of rock art. 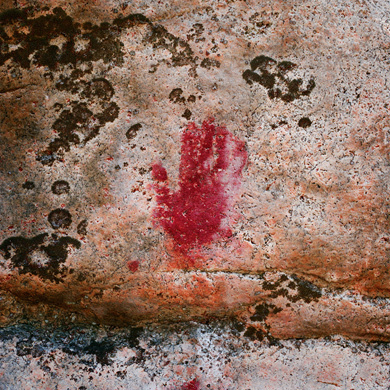 The knowledge that the paintings are made thousands of years ago affects the way we see and think about the images. 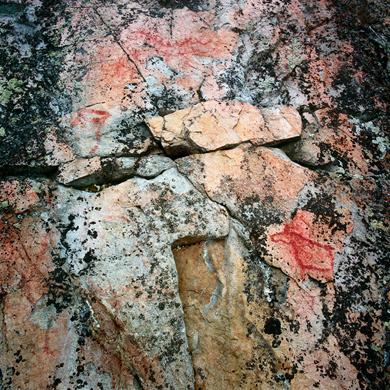 Rock paintings have a special aura, a sense of authenticity. They are touchable, but still distant. It is not possible to make a new painting with similar meanings. Even the most detailed copy lacks the authenticity and cannot create such meaning. A copy is not part of the history of the environment like the original. A copy does not carry all the sunrises the original has felt. At least, not until after some thousands of years. 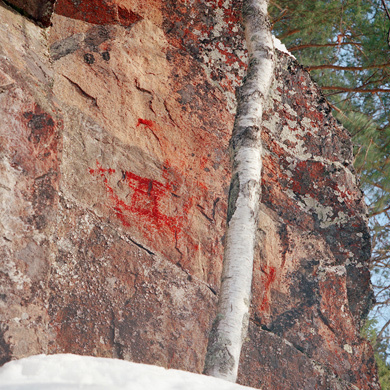 The rock paintings are authentic signs of the Stone Age people. Not only iconic signs that resemble the elks or humans depicted, but indexical signs that are connected by a touch to the people that created them. Like a smoke is a sign of a fire or a stain of jam on the fridge door is a sign of a child. Even though the smoke does not look like the fire, the stain does not look like the child or the painting does not - necessarily - look like the painter. The painting means that someone, some thousands of years ago stood there, touched the rock and created an image on the stone wall. By the painting, I can see the image, feel the presence of the people that painted the sign. It feels that the distance created by the time narrows and I can hear their voices in my ears. When I look over the shoulder I can see the disappearing line of past generations. Seven thousand years is eternity in the human experience, but still only a moment in time.